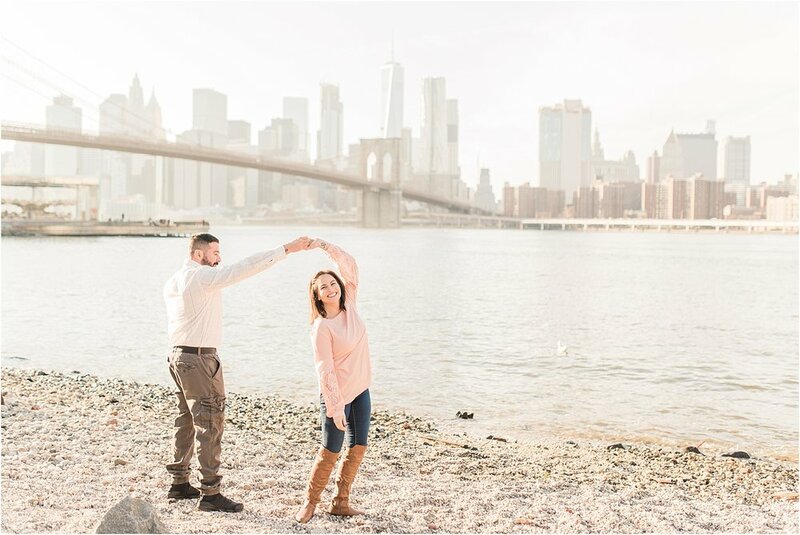 I met with Amanda & Howie at Brooklyn Bridge Park in Brooklyn for their engagement photography session. It was about 50 degrees, and for February, that was fantastic. We strolled around Jane's Carousel and had to stop for some pictures as the sun glistened off the windows of the structure. I loved watching the way that they connected. We laughed during the entire session, but watching them giggle at each other was the best part of the session! Amanda & Howie are getting married this September and their wedding is sure to be a day filled with unique and fun elements. 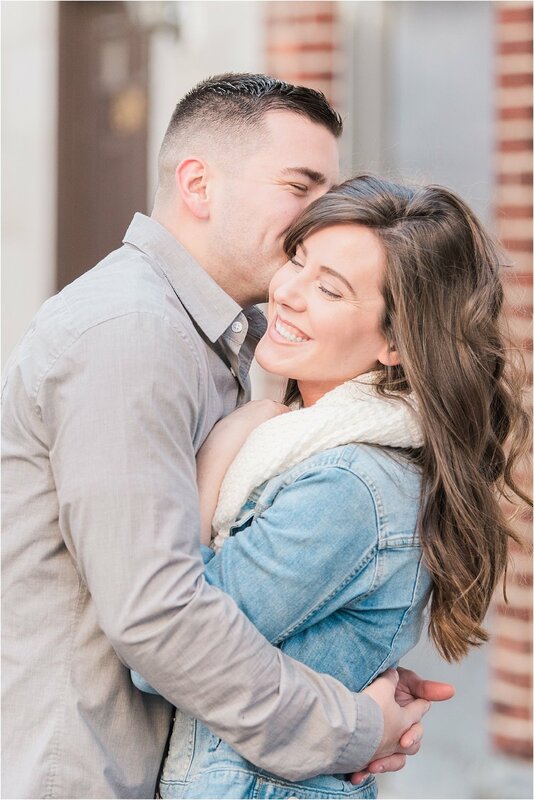 Kaitlyn & Paul chose to do their engagement session photos in Hoboken, New Jersey. We met at the Hoboken Waterfront Walkway, the place where Paul had proposed. It was freezing and that made it very easy for me to ask them to snuggle and keep each other warm!